Please note the Creative Commons license! “Vegan Eagle” by rootsofcompassion eG is licensed under a Creative Commons Attribution-NonCommercial-ShareAlike 4.0 International License. We disallow any utilization of this work by right-wing, racist and other inhuman organizations and persons. Accordingly, we don’t allow the use of this work for such expressions of opinion. 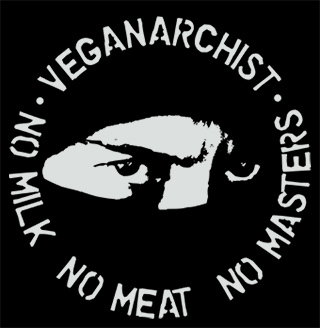 “Veganarchist” by rootsofcompassion eG is licensed under a Creative Commons Attribution-NonCommercial-ShareAlike 4.0 International License. We disallow any utilization of this work by right-wing, racist and other inhuman organizations and persons. Accordingly, we don’t allow the use of this work for such expressions of opinion. 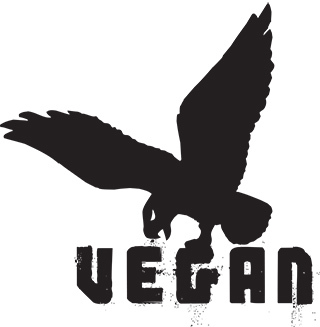 “Vegan Banner” by rootsofcompassion eG is licensed under a Creative Commons Attribution-NonCommercial-ShareAlike 4.0 International License. We disallow any utilization of this work by right-wing, racist and other inhuman organizations and persons. Accordingly, we don’t allow the use of this work for such expressions of opinion. 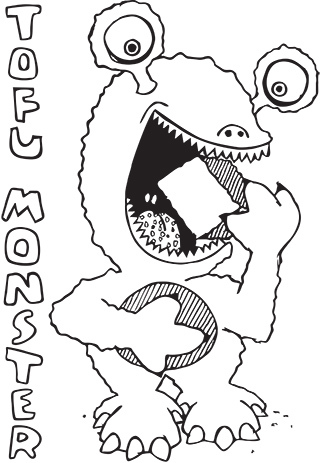 “Tofu Monster” by rootsofcompassion eG is licensed under a Creative Commons Attribution-NonCommercial-ShareAlike 4.0 International License. We disallow any utilization of this work by right-wing, racist and other inhuman organizations and persons. Accordingly, we don’t allow the use of this work for such expressions of opinion. 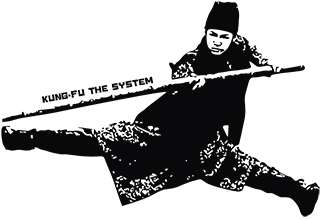 “Kung Fu the system” by rootsofcompassion eG is licensed under a Creative Commons Attribution-NonCommercial-ShareAlike 4.0 International License. We disallow any utilization of this work by right-wing, racist and other inhuman organizations and persons. Accordingly, we don’t allow the use of this work for such expressions of opinion. 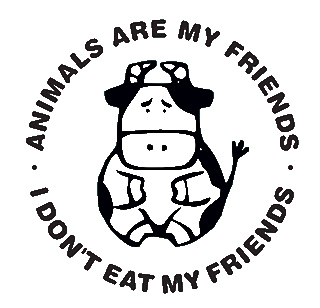 “Animals are my friends” by rootsofcompassion eG is licensed under a Creative Commons Attribution-NonCommercial-ShareAlike 4.0 International License. We disallow any utilization of this work by right-wing, racist and other inhuman organizations and persons. Accordingly, we don’t allow the use of this work for such expressions of opinion. 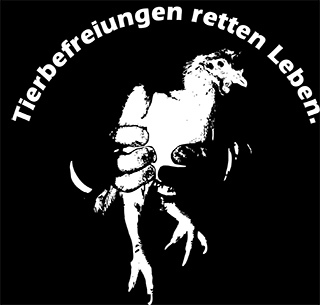 “Tierbefreiungen retten Leben” by rootsofcompassion eG is licensed under a Creative Commons Attribution-NonCommercial-ShareAlike 4.0 International License. We disallow any utilization of this work by right-wing, racist and other inhuman organizations and persons. Accordingly, we don’t allow the use of this work for such expressions of opinion. “They destroy the world, we destroy their system” by rootsofcompassion eG is licensed under a Creative Commons Attribution-NonCommercial-ShareAlike 4.0 International License. We disallow any utilization of this work by right-wing, racist and other inhuman organizations and persons. Accordingly, we don’t allow the use of this work for such expressions of opinion.